The line does not intersect the parabola if . Since equation (iii) is a quadratic equation in , we can solve this quadratic equation either by completing the square method or by using the quadratic formula. 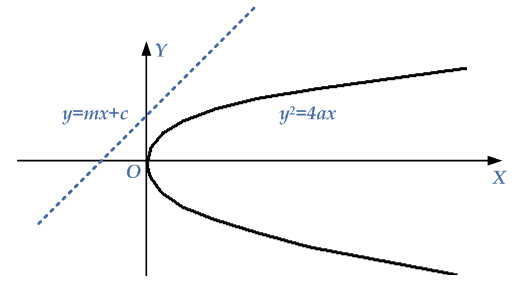 If equation (iii) has imaginary roots, then the line (ii) will not intersect the parabola (i), as it is clear from the given diagram. This is the required condition if the line does not intersect the parabola.